After several tireless days we have finished crunching the numbers from nearly 750 13F filings issued by the elite hedge funds and other investment firms that we track at Insider Monkey, which disclosed those firms’ equity portfolios as of December 31. The results of that effort will be put on display in this article, as we share valuable insight into the smart money sentiment towards Lamb Weston Holdings, Inc. (NYSE:LW). Is Lamb Weston Holdings, Inc. (NYSE:LW) the right pick for your portfolio? Investors who are in the know are becoming less hopeful. The number of long hedge fund positions decreased by 2 in recent months. 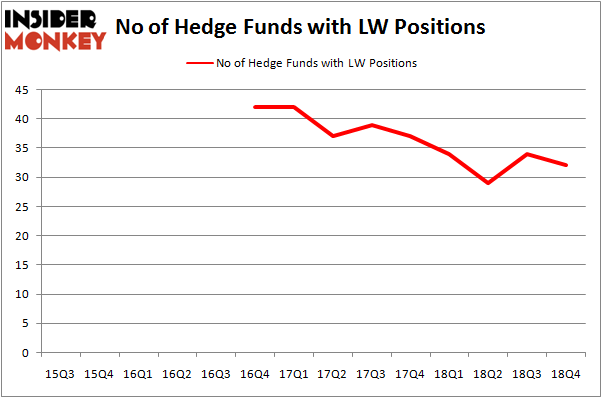 Our calculations also showed that LW isn’t among the 30 most popular stocks among hedge funds. We’re going to take a peek at the new hedge fund action regarding Lamb Weston Holdings, Inc. (NYSE:LW). What have hedge funds been doing with Lamb Weston Holdings, Inc. (NYSE:LW)? Heading into the first quarter of 2019, a total of 32 of the hedge funds tracked by Insider Monkey were long this stock, a change of -6% from the previous quarter. On the other hand, there were a total of 34 hedge funds with a bullish position in LW a year ago. With hedge funds’ sentiment swirling, there exists a few noteworthy hedge fund managers who were adding to their holdings significantly (or already accumulated large positions). The largest stake in Lamb Weston Holdings, Inc. (NYSE:LW) was held by Millennium Management, which reported holding $213.4 million worth of stock at the end of September. It was followed by Renaissance Technologies with a $141.4 million position. Other investors bullish on the company included AQR Capital Management, Two Sigma Advisors, and D E Shaw. Due to the fact that Lamb Weston Holdings, Inc. (NYSE:LW) has witnessed a decline in interest from hedge fund managers, it’s easy to see that there is a sect of money managers that slashed their positions entirely heading into Q3. It’s worth mentioning that Peter Rathjens, Bruce Clarke and John Campbell’s Arrowstreet Capital dropped the biggest investment of the “upper crust” of funds monitored by Insider Monkey, worth close to $203 million in stock. Per Johanssoná’s fund, Bodenholm Capital, also cut its stock, about $18.9 million worth. These bearish behaviors are important to note, as aggregate hedge fund interest was cut by 2 funds heading into Q3. 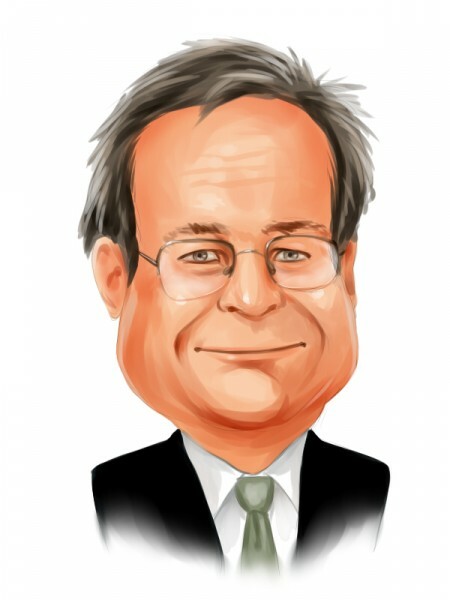 Let’s now review hedge fund activity in other stocks – not necessarily in the same industry as Lamb Weston Holdings, Inc. (NYSE:LW) but similarly valued. We will take a look at iQIYI, Inc. (NASDAQ:IQ), Wynn Resorts, Limited (NASDAQ:WYNN), Vedanta Ltd (NYSE:VEDL), and Western Digital Corporation (NASDAQ:WDC). This group of stocks’ market caps match LW’s market cap. As you can see these stocks had an average of 25.75 hedge funds with bullish positions and the average amount invested in these stocks was $817 million. That figure was $895 million in LW’s case. Wynn Resorts, Limited (NASDAQ:WYNN) is the most popular stock in this table. On the other hand Vedanta Ltd (NYSE:VEDL) is the least popular one with only 7 bullish hedge fund positions. Lamb Weston Holdings, Inc. (NYSE:LW) is not the most popular stock in this group but hedge fund interest is still above average. This is a slightly positive signal but we’d rather spend our time researching stocks that hedge funds are piling on. Our calculations showed that top 15 most popular stocks among hedge funds returned 19.7% through March 15th and outperformed the S&P 500 ETF (SPY) by 6.6 percentage points. Unfortunately LW wasn’t in this group. Hedge funds that bet on LW were disappointed as the stock lost 5.2% and underperformed the market. If you are interested in investing in large cap stocks, you should check out the top 15 hedge fund stocks as 13 of these outperformed the market.